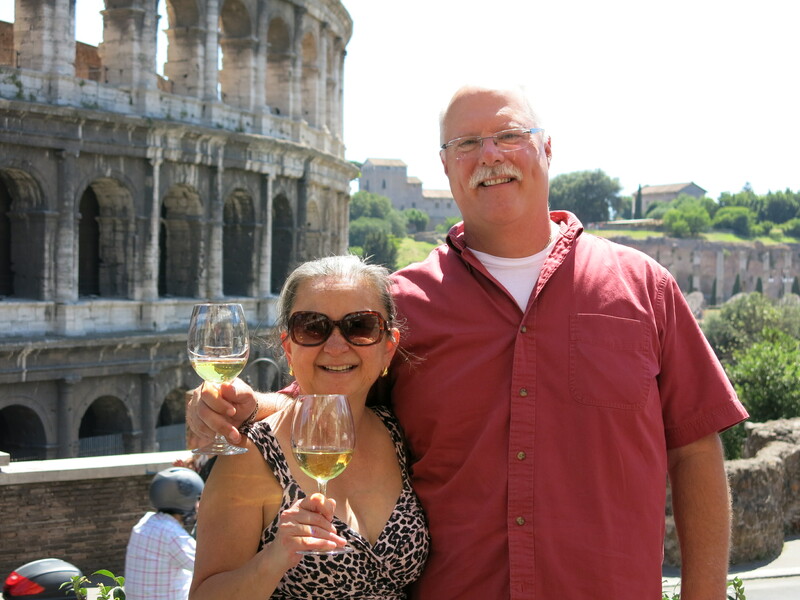 After surveying a total of 81 dads across the nation and figuring out what they really want for Father’s Day, Roger Beery of Bacchus & Beery and I discussed which wines pair exquisitely with these suggestions. For the dad with the sweet tooth, we recommend gourmet chocolate. Two brands come to mind. Videri for bean-to-bar lovers and Manifest for the vegans; Videri’s Classic Dark Chocolate will pair beautifully with a Cabernet Sauvignon. Why? Roger recommends this variety because the tannins in wine can accentuate the slight bitterness found in dark chocolate. He also suggests pairing dark chocolate with a Vintage Port – it’ll put a smile on dad’s chocolate covered face. Did you end up buying dad an assortment of cigars? Cigars are unique and exhibit diverse flavor profiles. For example, Davidoff’s Aniversario No 3 has hints of cedar and lights spices and a distinct flavor of roasted nuts. What wine pairs well with this? The same flavors of a cigar can be found in dark rich wines. Roger recommends a Tawny Port, or a rich Ridge Vineyards Zinfandel. He even suggests Shiraz or a richer style Pinot Noir like Belle Glos single vineyard selections. Let’s face it. A hungry dad is not a happy dad. A majority of dads will order a steak on Father’s Day – a Porterhouse Steak to be exact. As agreed with Roger, a great steak calls for a great Cabernet Sauvignon. Why? Roger recommends this variety because the tannins and red fruit are made to pair with the juicy cut. He even recommends taking the extra step and ordering a unique small production Cabernet directly from the winery: Dunn Vineyards, Alpha Omega Winery, Corison Winery, or John Anthony Vineyards to impress. For local picks, he recommends Jordan Winery, Caymus Vineyards, and Shafer Vineyards, as they are consistent Cabernet standouts. It’s okay to be cheesy this Father’s Day – just don’t forget the wine! Blue Cheese is a popular choice and is often given to dads who are cheese connoisseurs. They can be salty and pungent, making wine pairing tricky. Roger recommends pairing Blue Cheese with a sweet or dessert wine such as a Sauterne or Late Harvest Riesling. If your dad doesn’t have much of a sweet tooth, Roger recommends Smith Madrone Dry Riesling (Napa) or Chateau Ste. Michelle. We also wholeheartedly recommend Chateau Ste. Michelle Riesling (Washington) for its hint of sweetness – like a kiss from the girl next door. Sometimes, it’s okay to test the waters when shopping for the perfect gift. Whatever you get him – don’t forget to pair it with wine! 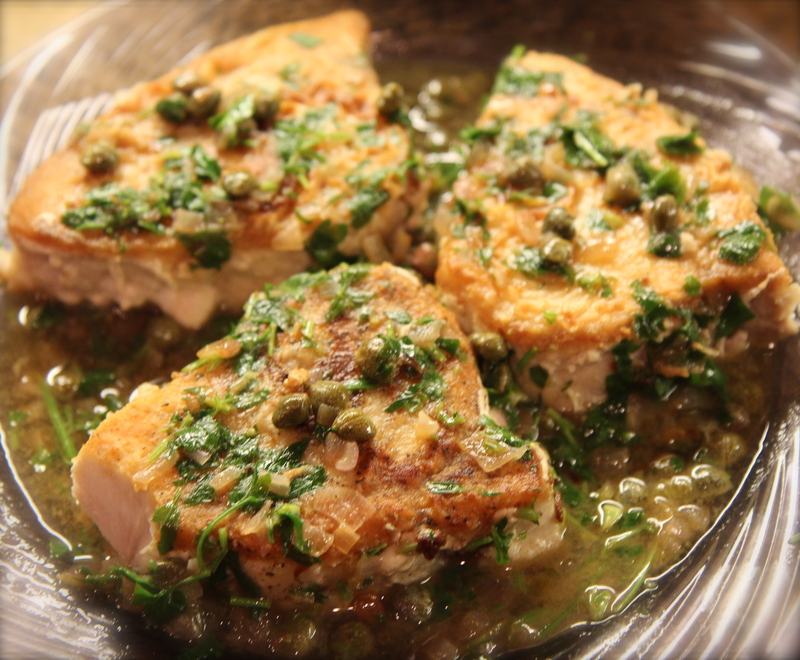 For dads who appreciate a nice piece of fish, we recommend a generous cut of Swordfish. Roger recommends pairing it with any fine white wine. For dads planning on adding butter to their cut, we recommend a Provenance Vineyards Sauvignon Blanc or an un-oaked Chamisal Vineyards Chardonnay. The crisp acidity will balance the butter. Roger’s personal pairing is a Hawley or Cass Winery Voignier, which is a crisp white wine with more body than a Sauvignon Blanc but less than an oaky Chardonnay. Taking dad out for a nice lunch? 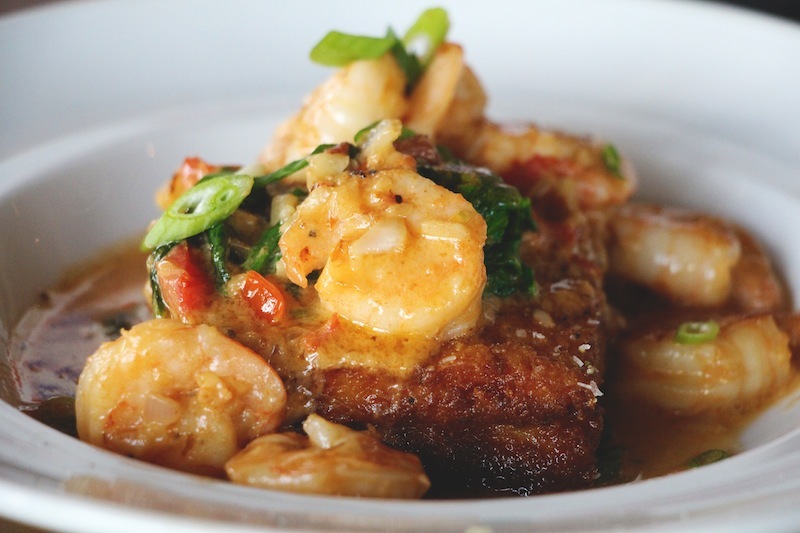 We recommend the Shrimp & Grits at Marlow’s Tavern. Why? White Cheddar Grit Cake, Spinach, Roma Tomato, Shallot and Roast Tomato Beurre Blanc all combine together to create a flavorful experience. Roger recommends pairing this delicious dish with a dry rose’, as it is not your grandmother’s sweet white Zinfandel. Dry rose’s are crisp, refreshing and not sweet at all. Pour dad a glass of a manly rose’ of Pinot Noir such as Belle Glos or Copain. Really enjoyed this article — in its entirety. Now I’m hungry and thirsty.